Literally everyone is hosting a holiday market this weekend. To save you time, we narrowed the options down to the essential. The good news is, with all these markets, there is no excuse to be giving amazing, personal gifts this year. First up, ta-da - we've curated our very own market! 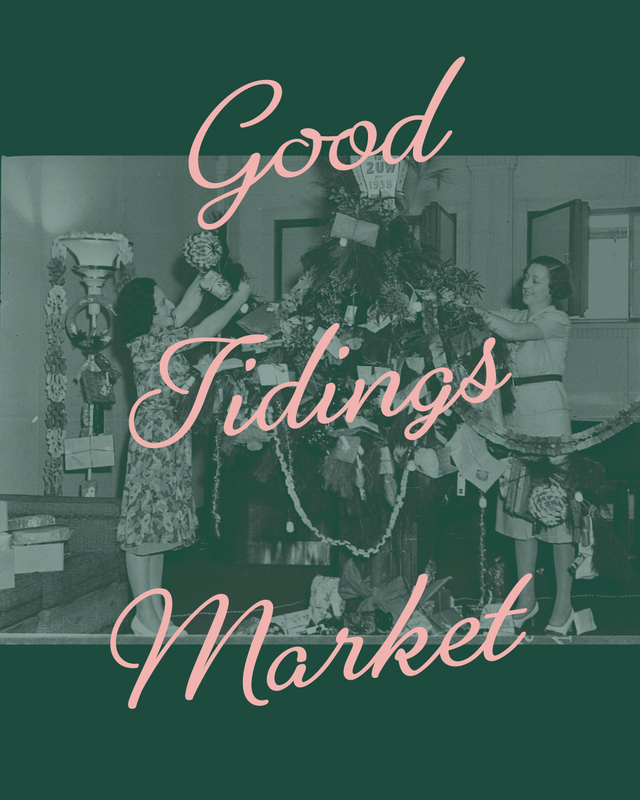 This Saturday only, Here is bringing together a fresh line-up of women-owned brands for Good Tidings Market. One. Stop. Shopping. For all the women in your life. And obviously you'll need a little something too. You'll find us at the brand new shop, Someday, at First and Broad where our host offers a variety of treasured homeware and artisan gifts. Anther has statement jewelry covered, and Strawberry Fields Flower & Finds can help you adorn your home with their gorgeous wreaths, stems and succulents. You may recognize these names from previous features in our newsletter. We've been saving the final addition to the line-up for a special moment - and this is it. 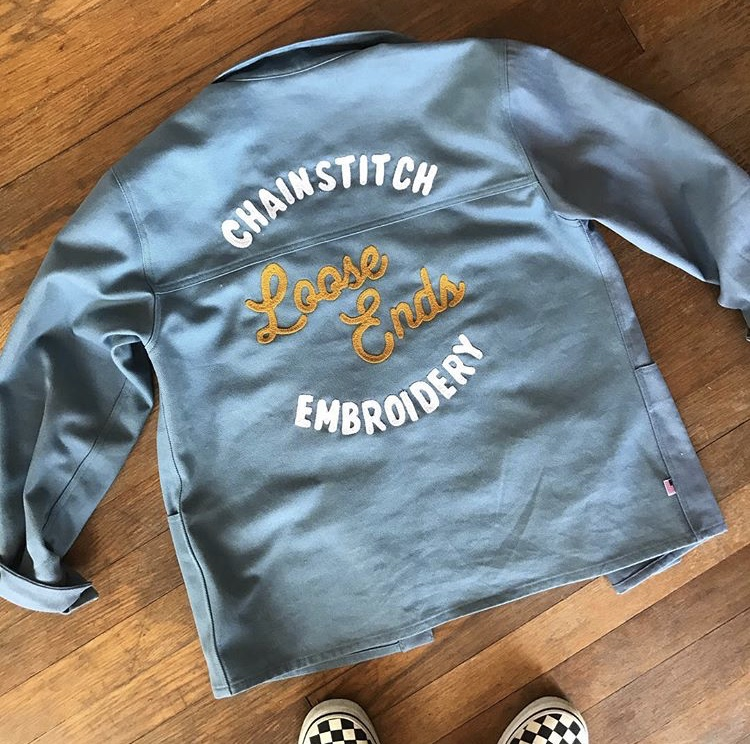 Read on below to learn more about Loose Ends Embroidery. Come say hi to us, pick up a RIC t-shirt or onesie on sale, and browse our new selection of Kate Magee for Here prints. (Ooo what?!) Belle Isle Moonshine is making custom cocktails too! We’ve been obsessed with Ft. Lonesome, a chain stitch company based out of Austin, TX, for a hot second. So you can imagine how absolutely crazy PUMPED we were when we discovered Loose Ends Embroidery in our very own city. Trust us, chain stitching isn’t the same as grandma’s embroidery hoop. We’re talking the chicest vintage lettering and tattoo-like illustrations come to life with thread. And really so much more. Loose Ends is made up of talented embroidery duo Allison Terres and Amber Sykes. You can either buy their designs on patches or work with them to create something entirely custom, be it a patch or a design stitched directly onto your clothing. At Good Tidings Market, Loose Ends will have patches and will be doing embroidery live in the shop. They are a must-follow. Start digging through your closet now and bring in key pieces to be personalized! 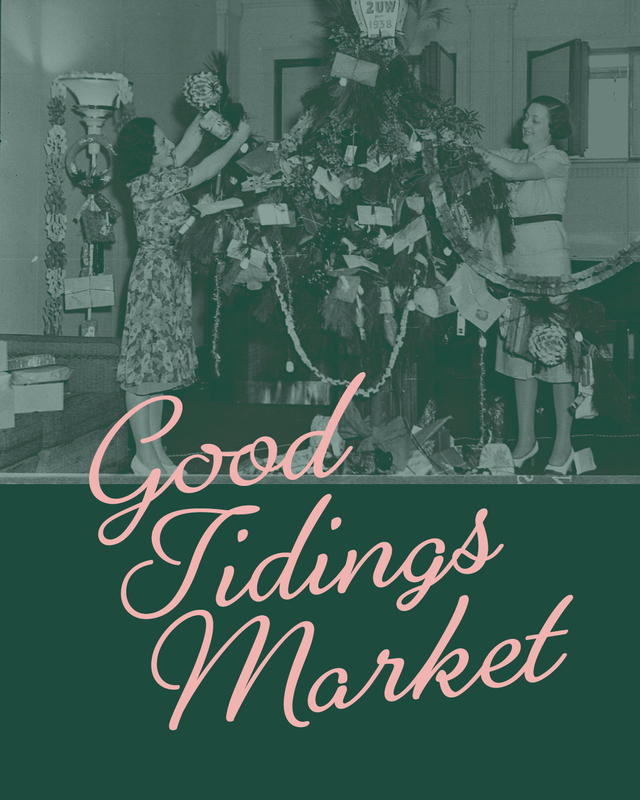 Our Good Tidings Market has everything you need for the ladies. So we also found you a holiday market for the gents! Northern Grade is back for its 2018 Winter Marketplace at Main Street Station. 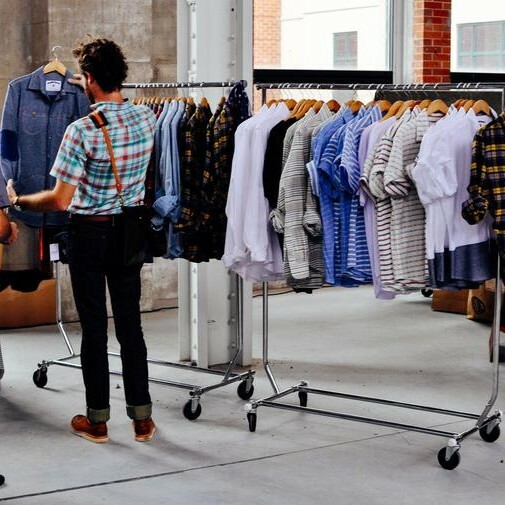 Known as a champion of American-made brands, Northern Grade has deep roots in Richmond’s scene of local makers. Shop a wide selection of vendors offering fine leathers, luxury men’s clothing and accessories. Sip on local brews, caffeinated and alcoholic, and finish your holiday shopping strong. No, seriously, Good Tidings Market is kind of a big deal for us. Are you joining us? !